For many years now access to finance has been a consistent issue impacting upon the growth of franchise networks. Recruitment of quality, new franchisees can be a long and difficult process, and loosing a prospect in the final stages because they were unable to secure finance is a major disadvantage for any franchise brand. 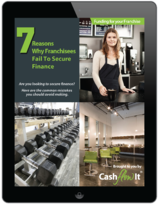 Accreditation programs are an important piece in any franchisors toolkit. They take into consideration the strength and success of a franchise brand as a whole, in order to offer guaranteed finance for new and existing franchise partners in the group. This is turn makes gaining access to funds quicker and easier, fueling growth and expansion within the network. Some franchisors hold the perception that establishing an accreditation will only benefit new prospects entering the network, however this is not the case. Accreditation programs help existing franchisees take advantage of any opportunities that come their way. Established access to funds allows business owners to take out loans for refurbishments, new equipment and even the purchase of a second location. A franchise brand can achieve long-term success by encouraging the growth of franchisees already in the network, not just by obtaining new recruits. The ability to easily access external funding for major business expenses such as a site refurbishment or equipment upgrades allows franchisees to invest their capital into business growth activities such as local area marketing, which actively generate more profit for the business and fuel the success of the network as a whole. Despite the time commitment required to become an accredited brand, it seems like a logical step for any franchisors looking to set their network up for success. However, recent changes to the banking climate in Australia has made securing an accreditation through banks and traditional lenders all the more difficult. A lack of flexibility and tightening of already strict lending standards has left those in the franchise industry looking elsewhere for their finance. While all the big banks all offer some form of franchise accreditation program, incoming franchise partners are still struggling to pull together enough funds to cover their initial investment. Many banks are moving away from what they perceive to be ‘risky’ investments, franchise businesses included. In addition to this, traditional lenders often won’t fund the full value of the franchise, leaving franchisees to invest their savings to bridge the gap. This results in the business holding little to no working capital for operations and sitting in a precarious financial position. It is clear that whilst banking accreditation was once the cornerstone of a well thought out franchise finance plan, the lending landscape has changed. However, it is important to note that accreditation programs aren’t only available with the big banks. Seeking accreditation with an alternative lender can offer a franchise network a wider range of finance options to fit the varied needs of the franchise partners within it. As lending conditions become tougher for Australian business owners, it is vital that franchisors take steps to actively overcome the growth barrier that is access to finance. Establishing an accreditation with one or more lenders ensures that no opportunities for growth or expansion will be lost due to inability to get funding.